Alarming links between British spy agencies and torture, unlawful abductions and dealings with dictators have been exposed in recent years, prompting investigations and major court cases. But now, in a historic move that could erode centuries-old principles of open justice, the government wants to limit sensitive material being disclosed publicly – enabling complicity in human rights abuses to be kept secret. The controversial plans are set to be included in the Justice and Security Bill, formally announced earlier this month in the Queen’s Speech. The Ministry of Justice says “common-sense” change is needed to protect national security and better equip courts to pass judgment in cases involving classified information. Because the new legislation would enable the government to present evidence to a judge without having to disclose it to the whole court, however, there are major concerns it could lead to cover-ups and put the government and other public bodies above the law. “The simple fact is that closed courts are inherently unfair,” says Clare Algar, executive director of human rights group Reprieve. “What the government is proposing is a system in which they can use whatever evidence they like against the citizen, but the citizen is unable to challenge or even to see that evidence. This is unacceptable in any circumstances. "Our current system is working well, and judges have always been extremely deferential to the government on matters of national security. Yet it appears that our security services are attempting to undermine our justice system because they are unwilling to be held accountable in a court of law." Justice secretary Ken Clarke argues that the government will have to reveal “damaging” secret security information or settle out of court unless ministers can order some cases to be conducted behind closed doors. Clarke says that Britain’s intelligence-sharing relationship with America was dented after a ruling in 2010 forcing ministers to reveal a document showing British complicity in the torture of West London resident Binyam Mohamed, who was held at US-run prison Guantanamo Bay over alleged links to terror groups. Prominent critics argue that the reform, far from being motivated by a desire to protect national security, has more to do with preventing politically damaging details from being made public. Macdonald’s scathing remarks took on added significance last month, when it emerged spy agency MI6 had tried to avoid having to appear in open court by offering a payment of £1 million to Abdelhakim Belhadj, a Libyan dissident it helped hand over to Muammar Gaddafi’s regime in 2004 as part of America’s extraordinary rendition programme. Belhadj and his pregnant wife were abducted by US authorities in Bangkok after a tip-off from MI6. They were forced on a plane to Libya where they were mistreated by Gaddafi’s secret police – and are now suing Sir Mark Allen, an ex-senior member of MI6, for “complicity in torture" and "misfeasance in public office." If the Bill were to become law by the time Belhadj’s case makes it to a British courtroom, a government minister could sign off a “closed material procedure” (CMP) certificate vetoing sensitive information about MI6’s role being publicly disclosed. CMPs were first established by Labour in 1997 to be used mainly in a small number of immigration cases concerning the deportation of terror suspects. In 2010, for instance, alleged extremists based in Manchester and Liverpool were accused of having links to al-Qaida – but in subsequent deportation hearings CMPs were applied to keep evidence against them secret. But not all elements of the Bill have been subject to such intense criticism. While many argue it would be particularly detrimental to the accountability of the secret services in the courtroom, others point out that at the same time, in stark contrast, it also contains a proposal to enhance their accountability to parliament. Currently spy agencies MI6, MI5 and GCHQ are overseen by the intelligence and security committee (ISC), an executive-appointed group of nine parliamentarians, which reports directly to the prime minister. The government wants to improve the ISC by having it report formally to parliament for the first time. By enhancing parliamentary accountability while simultaneously planning to radically reduce judicial accountability, though, it is ultimately the overall impact that is of most significance, according to Hugh Bochel, professor of public policy at the University of Lincoln. Another proposal the government has tabled is to exempt the security services and block other public bodies from being subject to so-called Norwich Pharmacal (NP) applications. NPs allow someone making a claim of mistreatment or wrongdoing against an individual or organisation to request information from a third party if it is believed to be crucial to the claim. 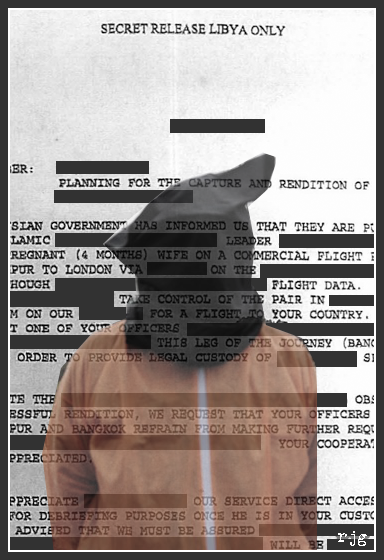 Evidence of UK involvement in the torture of Binyam Mohamed, a British resident who was imprisoned in Guantanamo Bay, was first obtained using the NP method. The law relating to Public Interest Immunity (PII) – a kind of “gagging-order” – is the current mechanism for ensuring that harmful material is not put into the public domain in civil proceedings. Under the existing system, if a government minister believes disclosure of a document could harm national security they sign a PII certificate and present it to the court. The court will then consider the issue – looking at the material in question if necessary – and balance the public interest in withholding the document against the interests of justice in disclosing it. Famously the government tried to get a PII certificate in the Matrix Churchill arms-to-Iraq case in 1992 that would have concealed the fact that the defendants had been working for British secret services. The trial collapsed and the defendants were compensated. A Ministry of Justice spokesperson says: "Serious problems exist which prevent justice from being done in civil cases involving sensitive material. This could allow government actions to go unchallenged, taxpayers’ money will be squandered, justice will not be done and national security will to be put at risk. We need to make sure that courts can consider all of the evidence, regardless of its sensitivity without putting national security at risk. Only then can intelligence agencies be held to account and justice done." The Justice and Security Bill would scale back further the amount of evidence that can be disclosed in civil cases and inquests – thereby preventing the full facts from becoming publicly known. Under the current legal framework there are already complaints that too much evidence can be withheld by authorities. This was recently highlighted in the case of 29-year-old Mark Duggan, who was shot dead by London’s Metropolitan police last August, sparking four days of rioting that spread across England. An inquest into the death of Duggan may not be held because crucial evidence based on intercepted phone calls cannot legally be disclosed on “national security” grounds (the justification for this is that it could reveal sensitive police techniques to criminals). However, under the changes proposed in the Justice and Security Bill, less public scrutiny, not more, is likely to occur as a result. This article first appeared in issue no.927 of The Big Issue in the North.